Romans chapter 8 makes some amazing and glorious promises to Christians. There is now no condemnation. The law of the Spirit who gives life has set you free from the law of sin and death. We are children of God – heirs of God and co-heirs with Christ who will share in His glory. The Holy Spirit helps us in our weakness by praying for us when we don’t know what to pray. All things work together for the good of those who love God and are called according to His purpose. God is for us, no one can be against us. We are more than conquerors in Christ. Nothing can separate us from the love of God that is in Christ Jesus our Lord. These promises are truly incredible and joyous. But are they trustworthy? God made a lot of promises to the nation of Israel too. That He would bless them and bless those who bless them and curse those who curse them and that He would bless the world through them. That they would be His people and He would be their God for all time. As Romans 9:4-5 puts it, “Theirs is the adoption to sonship;theirs the divine glory, the covenants, the receiving of the law, the temple worship and the promises. Theirs are the patriarchs, and from them is traced the human ancestry of the Messiah, who is God over all, forever praised! Amen.” But what happened to those promises? When Jesus came to Israel, He was rejected by the majority. They hated Him and arranged for His crucifixion at the hands of the Romans. They did not follow Jesus through faith and so they were cut off from the fulfillment of all the promises God had made to them. What happened? Did God’s Word to the Israelites fail? And if it did, how can we have any confidence in His word to us? 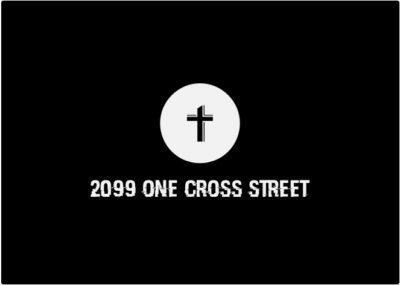 Romans 9-11 are the answer to those questions. The simple answer is a resounding NO! 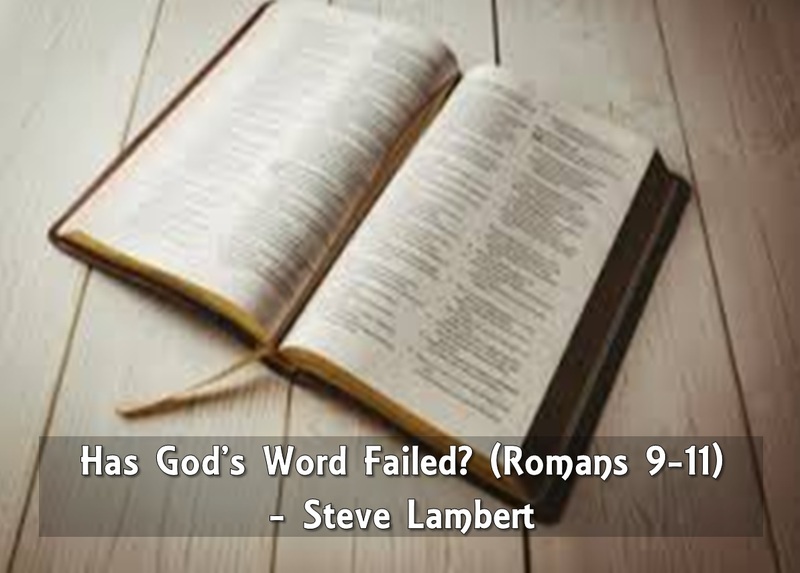 “It is not as though God’s word had failed” (Romans 9:6). So what did happen? Well, the answer to that is a lot more involved. And many of the arguments that the Bible makes in these chapters are difficult to understand. They’re difficult to understand in two ways: First, sometimes it’s actually difficult to grasp what exactly is being said. But second, sometimes what is being said is pretty clear, but it’s difficult to accept. I would encourage you to read Romans 9-11 over several times. Doing so with the understanding of how they fit into the book of Romans will help you a lot as you read them. Think about what is being said and how it relates to God’s promises to Israel and to the church. If you struggle to accept what it says, ask yourself why you struggle. It may be that your reaction is a result of pride. The long and the short of these chapters is that God’s sovereign (He’s the one who is in charge) and we aren’t and we need to accept that and be grateful that He loves us. As a fellow human being, I understand how that answer can rub us the wrong way. But that’s because I’m sinful too. I don’t deserve the gift of God’s salvation. I couldn’t have earned it. I wasn’t wise enough to know I needed it. Yet God chose to give it to me. And if you’re a believer in Jesus, God chose to give it to you too. This truth that God sovereignly saved you calls for humble gratitude to God. That’s how this section ends. The teaching of God’s sovereignty also calls for a heavy burden to pray for and share the gospel with those who haven’t responded to the gospel with faith. God’s sovereignty doesn’t diminish our need to share the gospel. In fact it strengthens it! God is sovereign and He wants to save people, so we can believe that He will! So rather than get bogged down by the difficult teachings of this passage, let’s trust God’s Word and respond as we should – with humble gratitude and bold evangelism!